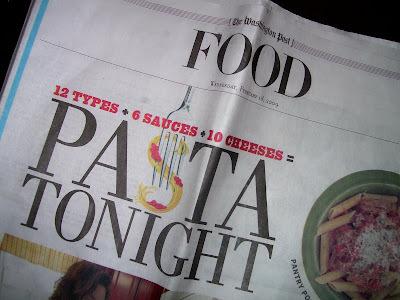 The feature article, "Pasta Tonight," was fun to read, even though the recipe accompanying it was Pork Ragu for a Crowd. The article offered basic and useful information on how to match pasta shape to sauces and how to cook your pasta so that it comes out perfectly every time. Equally important, though, the article reminded us that pasta is inexpensive, and in these uncertain economic times, inexpensive is a good thing. Why Switch from Teflon to Cast Iron Cookware? Hot Men and Women in PETA Competition! Just Vegging Out on a Sunday Evening . . . I am a labor lawyer practicing in Washington, D.C. I was born in Tokyo and have lived in San Diego, Los Angeles, Boston, and, most recently, Alexandria City, Virginia, where I reside with my partner of 7 years and our 2 perfect chihuahuas. I have been a vegetarian since 2007.